Super Falcons continues with their mighty dominance after beaten Bayana Bayana of South Africa 4-3 on penalties to lift the 2018 Africa Women’s Cup of Nation at Accra Sports Stadium in Ghana. The goalkeeper showed her quality calmly saving fierce efforts from Motlhalo and Makhabane to keep the Falcons in the game as Banyana’s search for a first Awcon title only had to stretch to the penalty shootouts. Oluehi only had to wait till the last spot kick, providing a stunning diving save to Motlhalo’s kick to win a record ninth continental trophy for Nigeria in a record final. 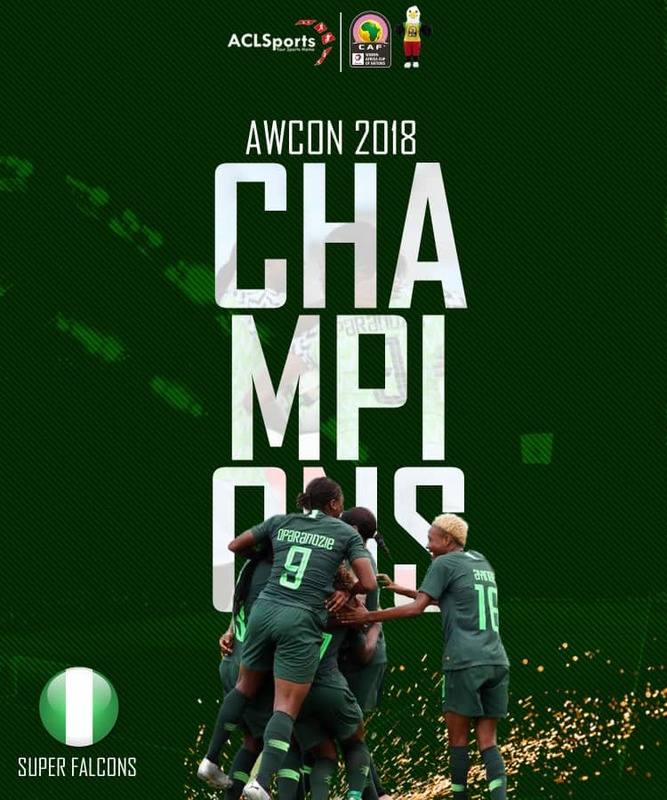 The Super Falcons, now 9 time-winners out of the last 10 championships, avenging their painful first-round defeat and restore their place as the most successful national women’s football team in the history of African football. Francisca Ordega was given the man-of-the-match while Thembi Kgatlana won the most valuable player award.